I'm unearthing my fabulous stash of beads, and it's like Christmas! 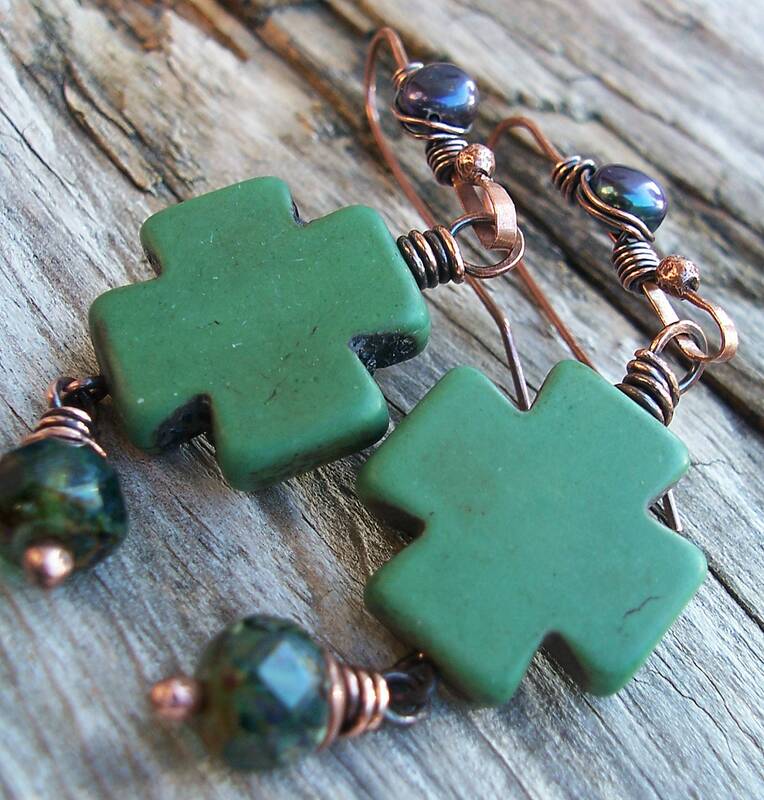 I came across these rugged magnesite crosses in cool dark mint green, and decided to mix them with some warm copper, iridescent midnight blue pearls (that turn purple and then peacock green in the light), and Picasso finish Czech glass in deep speckled teal. I hand-forged all the copper in these earrings, including the tiny beadcaps, earwires and headpins. I tumbled them to a high shine.